Warsaw is to be the home of the new Museum of Polish History. Paczowski et Fritsch Architects from Luxembourg was recently announced as the winner of the architctural competition for the museum. It will have exhibition space of around 10,000 square meters and will house the permanent collection of the museum, which was established in 2006. The winning design will feature a glass facade located next to an existing Baroque castle and will straddle a six-lane freeway that was built during the Communist era and is considered a blight on the landscape. It is budgeted to cost between €80 and €90 million, most of which is to be financed by the European Union. Construction is set to begin in 2011. Museums can play a central role in establishing, defining and sustaining national identity. Poland could become a prime example of this potential. For much of their modern history the Poles were sandwiched between the Russians, the Germans and the old Austro-Hungarian empire. In 1939 Nazi Germany made a secret deal with Stalin's Russia to divide Poland between themselves, which they promptly did after Germany invaded in September of that year, sparking World War II. When the soviets emerged as one of the victors in World War II, the Poles fell under Communist rule and it was not until 1989 that genuine democracy and human rights returned to the country. The seeds of the revolution that eventually led to the collapse of Communism in Europe were sown by the Polish trade union Solidarity in Gdansk. So there is plenty of very interesting and important history in the annals of the Polish nation. 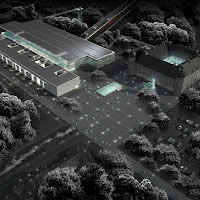 It should make for a fascinating museum that in turn will help boost Polish national self-confidence and help the Poles to a confident and hopeful future.